Sedro-Woolley is a small city in Skagit County, Washington, with a population of 10,500. The city is located in the northwestern part of the state, just north of the Skagit River and Mount Vernon-Anacortes metro area. 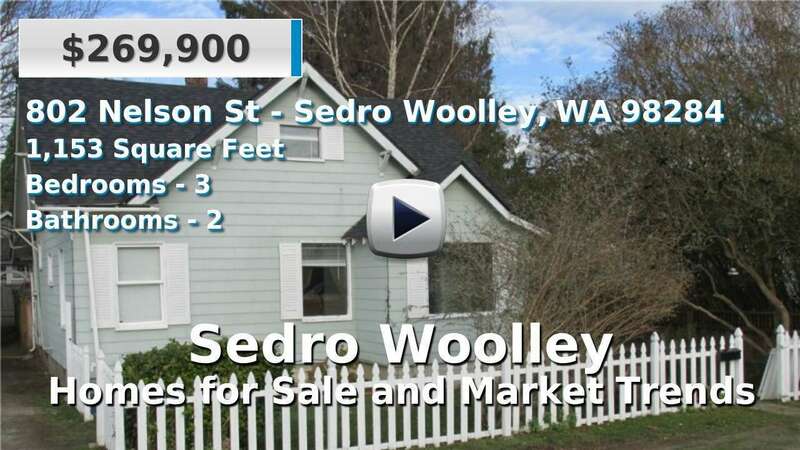 Despite having just under 4 square miles of land area, Sedro-Woolley has most of the surrounding countryside to itself. Homes for sale here range from well-established to new construction and tend to have larger lots; residents have an average commute of 24 minutes. The city is well known in Washington for holding the oldest Independence Day celebration known as “Loggerodeo”, which is exactly what it sounds like - a rodeo for loggers. Tens of thousands of visitors come to watch every year. 3 Beds | 1.75 Baths | 1740 sq. Ft.
4 Beds | 1.5 Baths | 2400 sq. Ft.
3 Beds | 2.25 Baths | 1370 sq. Ft.
3 Beds | 1.75 Baths | 1802 sq. Ft.
5 Beds | 2276 sq. Ft.
4 Beds | 2.25 Baths | 2648 sq. Ft.
3 Beds | 2 Baths | 1575 sq. Ft.
3 Beds | 2.5 Baths | 2259 sq. Ft.
3 Beds | 1.75 Baths | 1946 sq. Ft.